Caramel colors III and IV, for example, may be contaminated with 4-methylimidazole (4-MEI), which caused tumors in a National Toxicology Program study (NTP 2004). The European Food Safety Authority has expressed concern about furan contamination, which is also associated with cancer (EFSA 2011b). There is ongoing debate about the effects of the synthetic FD&C colors on children’s behavior. Some studies have found that mixtures of synthetic colorings and the preservative sodium benzoate were associated with hyperactivity (Bateman 2004; McCann 2007). The European Food Safety Authority concluded that synthetic coloring mixtures may have a “small and statistically significant effect on activity and attention in children,” and that this effect may be an issue for certain sensitive individuals (EFSA 2008a). 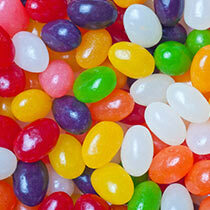 Other studies have not found an association between hyperactivity and synthetic food coloring (Arnold 2012; EFSA 2008a). Avoiding artificial colors such as Caramel III and IV can be difficult. Current regulation allows food manufacturers to simply print artificial color on the product label if the ingredient is on an FDA-approved list. But consumers can easily avoid the synthetic colors on FDA’s separate FD&C-certified list because they must be shown on the label with their full or abbreviated name, such as FD&C Yellow 5 or Yellow 5. Read labels if you wish to avoid the FD&C-certified colors. In general, artificial colors tend to be hallmarks of more highly processed foods, so they can also be avoided by sticking to fresh produce, meats and whole foods. Use EWG’s Food Scores to find foods without artificial colors.